A solo outing by Håkon Kornstad is always a special event. Symphonies in my Head is his third solo album for Jazzland Recordings and demonstrates his will to expand his territories beyond the borders set in Single Engine and Dwell Time. Moments that were briefly hinted at or touched upon in those two remarkable collections are now given fuller treatment. Treated loops underpin much of Kornstad's project, but now we are treated to the saxophone as a percussive instrument, where a pattern of key-presses sounds like a log drum, or notes seem to wander into sounds more in common with bowed or plucked strings. “When I made Dwell Time I recorded for two days in Sofienberg church, improvising with all my horns, flutes and a loop machine. Afterwards followed some weeks of picking out the best tracks, and then I had my album. Since then I've been touring extensively in Europe, with occasional concerts in USA and Japan, and the ideas that have come up on the road are the framework for the new album - Symphonies in my Head. 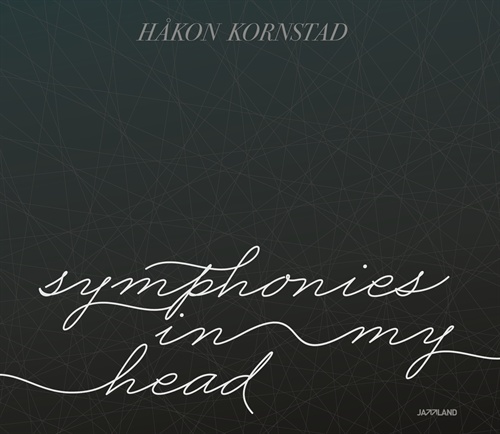 The third consecutive solo album from Hakon Kornstad is an exemplary, creative work. Amidst a nation of musicians who fearlessly and seamlessly find ways to marry music and technology on the most human of terms, Håkon Kornstad still stands alone. Whatever symphonies Kornstad had in his head when working on this album, they have become beautiful pieces for us all to hear.